Discussion in 'Non-Indian Domains' started by Prashant Sharan, Apr 16, 2019. If you haven’t heard about 5G, it’s the future of all communications. With speeds riding on the millimeter wave spectrum, 5G can achieve peak speeds of 20x that of 4G technology. Once the infrastructure of cellphone networks is fully upgraded, 5G is estimated to be 60 to 120 times fasterthan the average 4G latency. The future of the interconnected world and the Internet, incorporates a much extended network of smart devices, forming the Internet of Things (IoT.) Our lives in the future will be catered to by a much faster network, providing high speeds and expanded bandwidth. 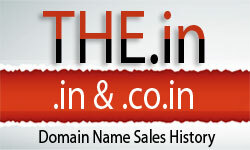 And that brings us to the domain name 5G.com, which has the potential to be the first “billion dollar domain” name.